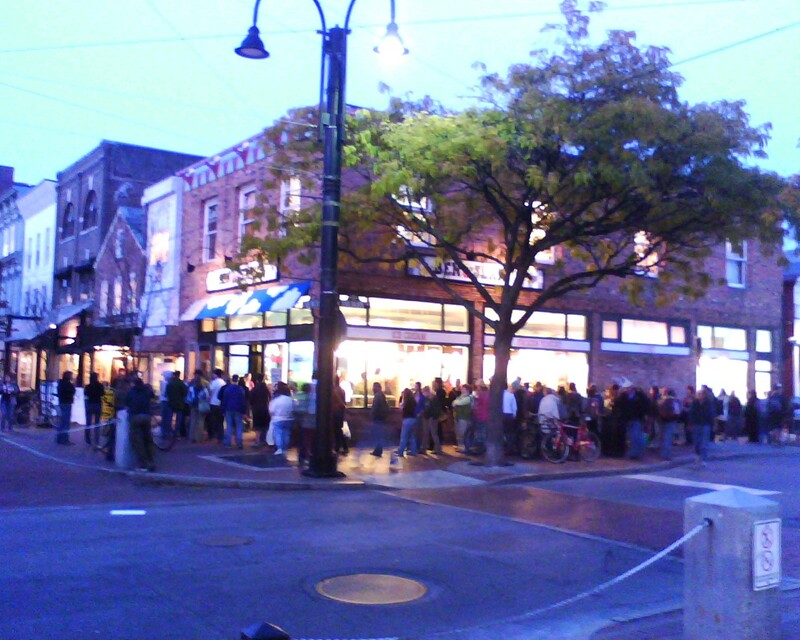 The crowd around the block on Church Street Burlington Vermont, at 4:50pm today. 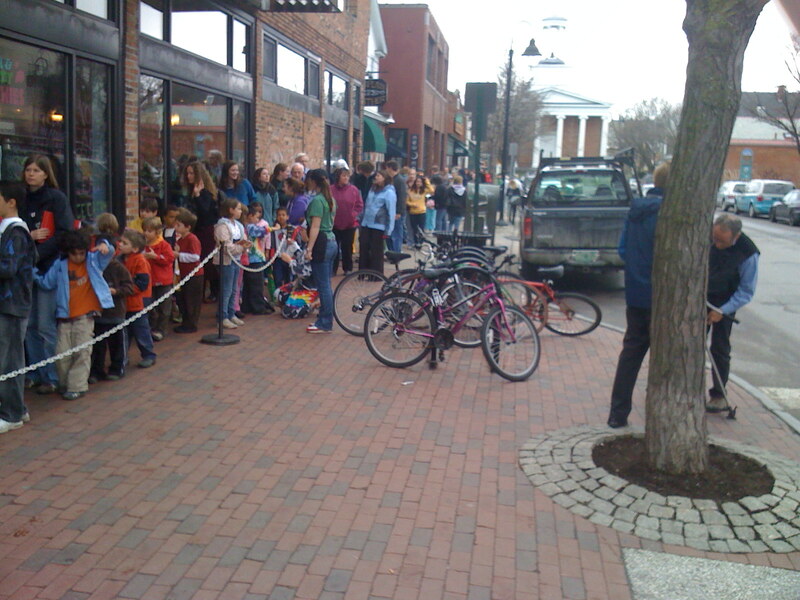 The voters are hungry for ice-cream! 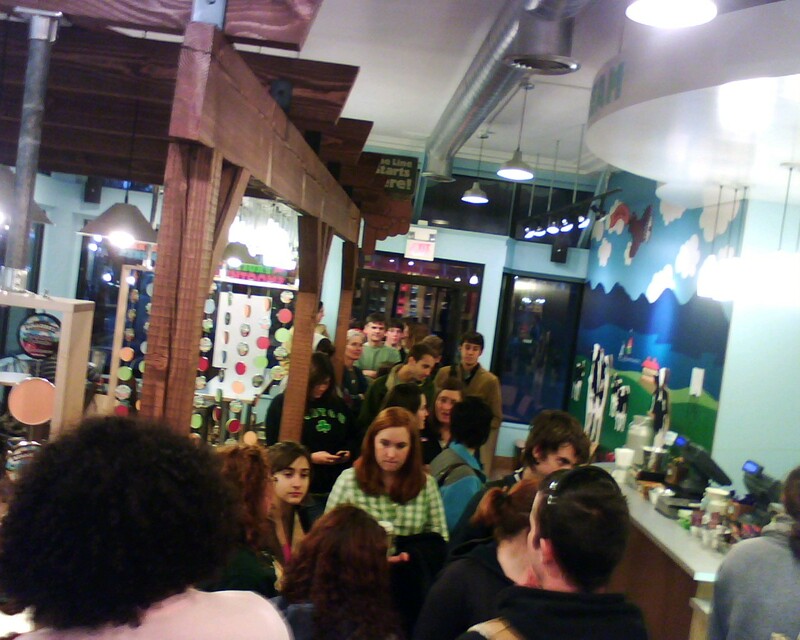 The line at Starbucks was not so long, but to be fair Starbucks was open all day and Ben and Jerry’s is running their promotion from 5pm-8pm. Whoever makes or offers to make an expenditure to any person, either to vote or withhold his vote, or to vote for or against any candidate; and Whoever solicits, accepts, or receives any such expenditure in consideration of his vote or the withholding of his vote – Shall be fined under this title or imprisoned not more than one year, or both; and if the violation was willful, shall be fined under this title or imprisoned not more than two years, or both. 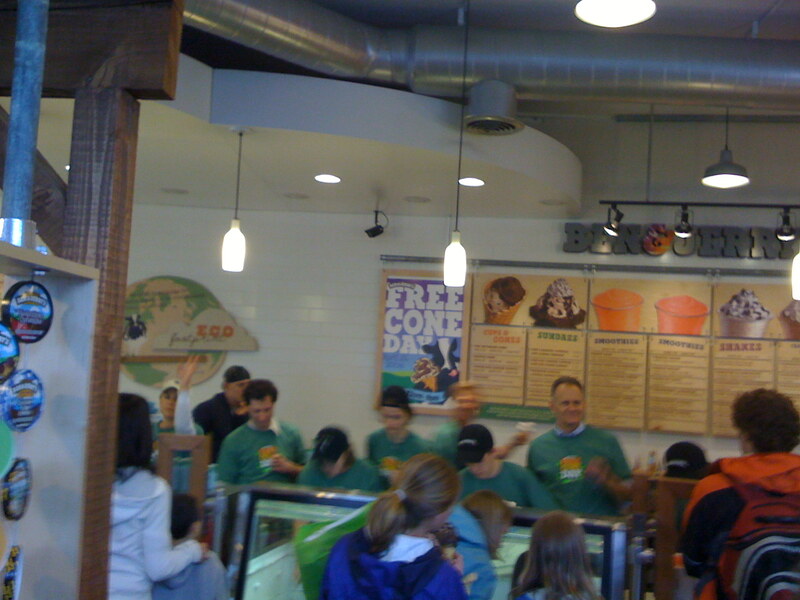 Ben and Jerry’s – Free Election Day cone tomorrow! Election day is tomorrow, polling times and places (for Vermonters) can be found here. 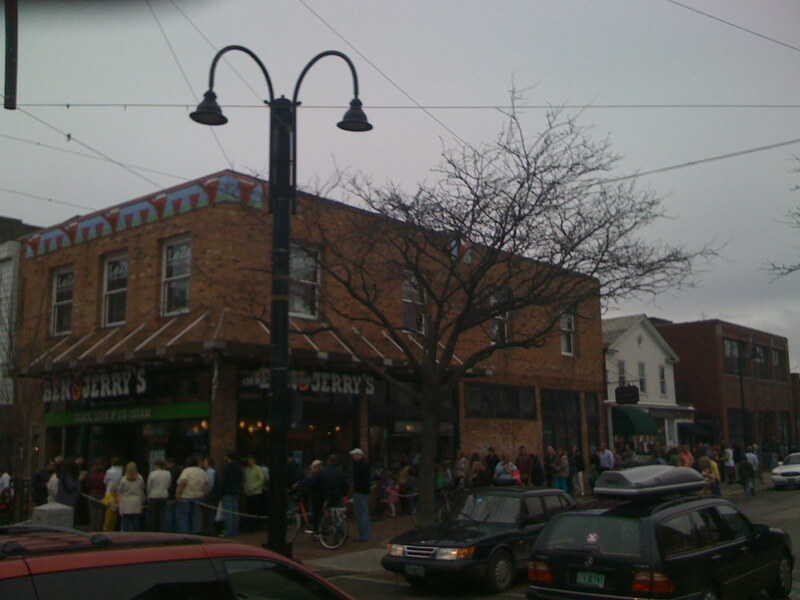 If you preform your civic duty, and don’t mind waiting in a second election day line you are entitled to a free Ben and Jerry’s cone (at participating scoop shops nationwide). Just don’t take all of the C2B3 (Coffee Coffee BuzzBuzzBuzz). An apt election day flavor may be Stephen Colbert’s Americone Dream (which isn’t bad BTW). Also there appears to be a free 12oz coffee at Starbucks for voters. 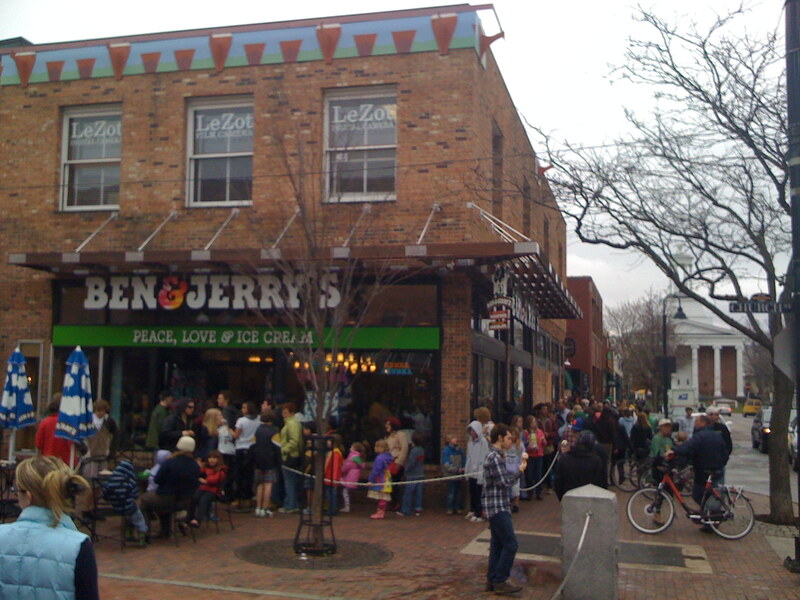 This Ben and Jerry’s scoop shop is smack in the middle of Church Street in Burlington Vermont. Since it’s summer time, I want to tell you about my favorite Ben and Jerry’s flavor: Coffee Coffee, Buzz Buzz Buzz. It’s only sold in scoop shops. 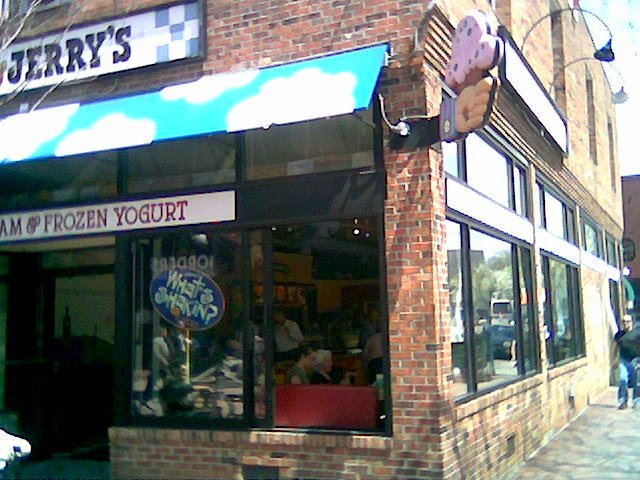 As a side note, Ben and Jerry’s has a crazy flash animation haunted house that you can enter from their flavor graveyard. 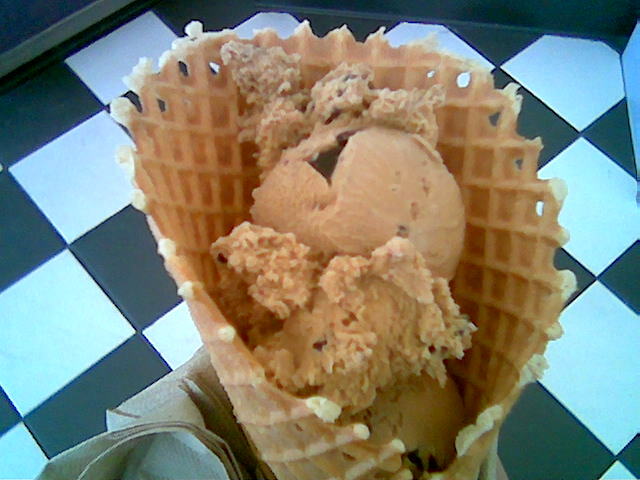 The waffle cones are made fresh, the ice cream is comprised of fair-trade coffee ice-cream with espresso bean fudge chunks. This is the zenith of coffee ice-cream. 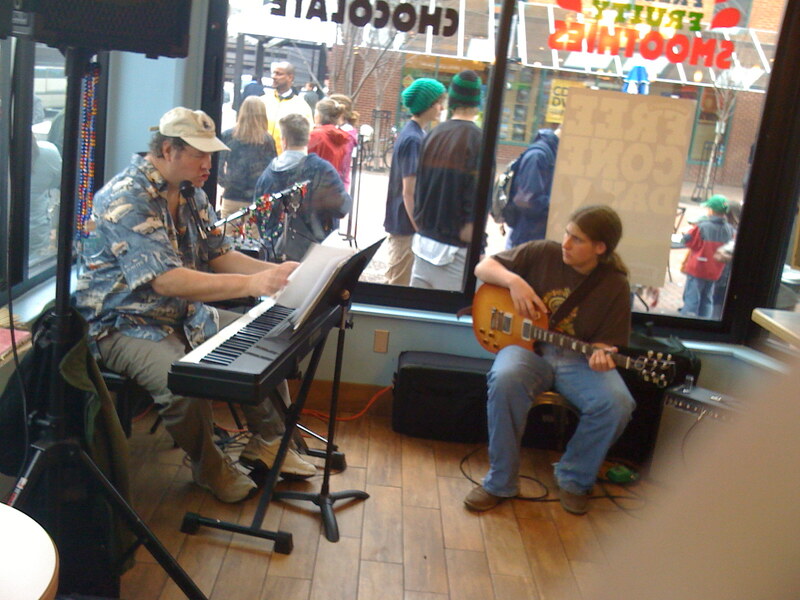 Ben and Jerry’s Coffee Heath bar is great, nice crunch but a little too sweet. It also doesn’t have the “buzz” factor, do to the caffine content in this desert. I asked for a “small waffle” cone, (meaning smaller amount of ice-cream), but I guess if you’re ordering a waffle cone you’re getting a lot of ice-cream. Get extra napkins because the ice cream will start to drip a tiny bit out of the button by the time you get to the end and if you’re like me, you’ll get it on your face. The cone was a heart stopping $4.86 with tax.